Heading to my next ski destination for this trip, I decided to break it up to allow a day of rest and do a bit of sightseeing. 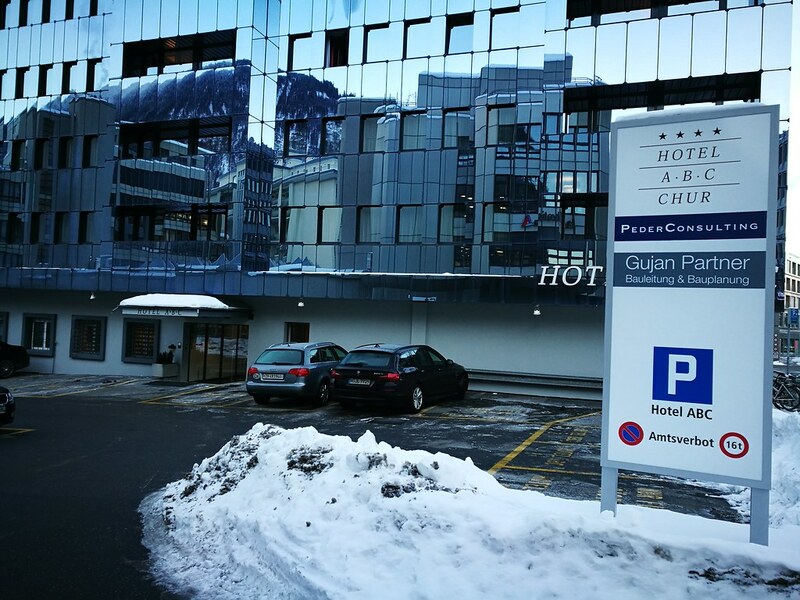 Chur ended up being my choice of town for transit as it is in between the 2 ski resorts I was visiting, and it is a relatively larger city which meant I had no problem returning the car I rented from Zurich and dropping it off here. As a major alpine town, Chur is one of the stations featured in both the Glacier Express and the Bernina Express, two of Switzerland’s most fabled train rides. This is also how I will reach my next ski destination. 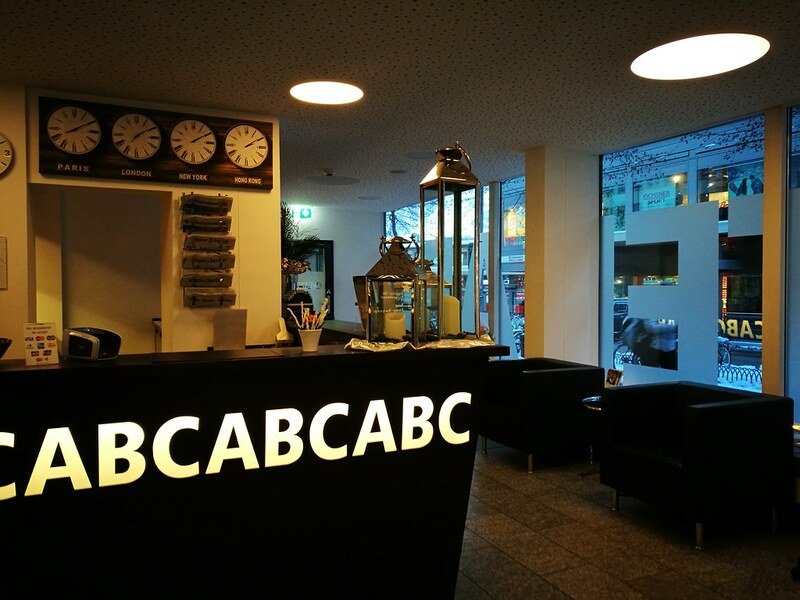 Since I would be taking the train for the remainder of my journey, I picked a stay at ABC Swiss Quality Hotel in Chur, and it happens to be one of the top hotels and most modern located conveniently a 5 minute walk from the main railway station. 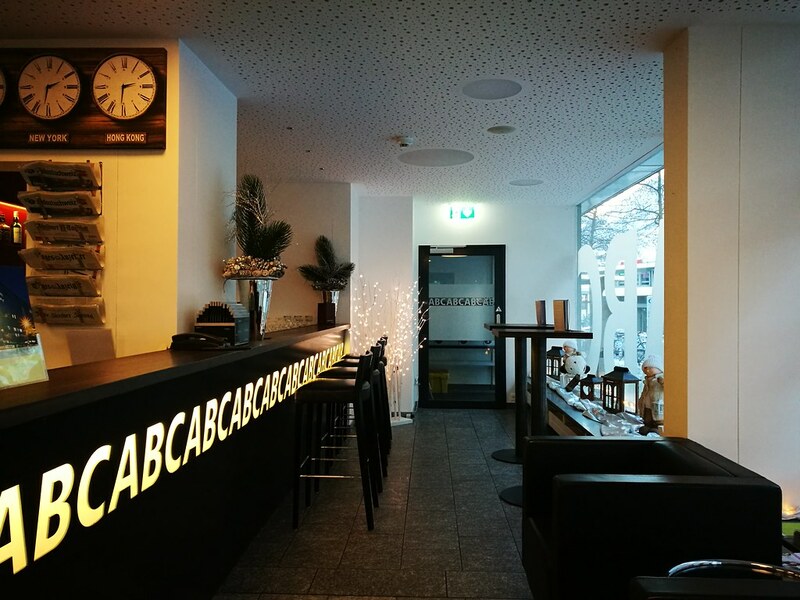 Chur has an old town with cobblestone streets and it is the biggest sight in the city, though this hotel’s location meant it is slightly further to reach the old town but still an easy walk anyway. Thus given the opportunity, I would still consider a night here again. Guests could help themselves to luggage carts located by the corridor to bring their luggage into their room as many small town European lodgings are self service, especially when I arrived slightly past 9pm. Inside the hotel, there is a very small lobby with a couple of armchairs, an L-shaped reception desk and some bar stools at the end. 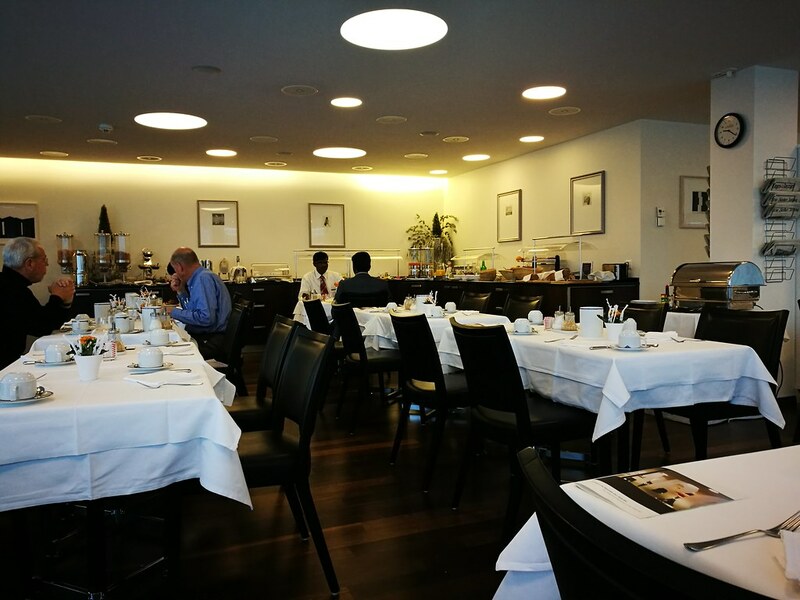 On the other side of the ground floor is the hotel’s restaurant where breakfast is served at. Checking in was easy since most European hotels I have been to has prepared all the keys and documents before hand. This means I just need to hand over my credit card and they check my ID and I get my room key. All in all, this is faster than my average check-in at SPG Hotels, since there is not much else to discuss (ie. 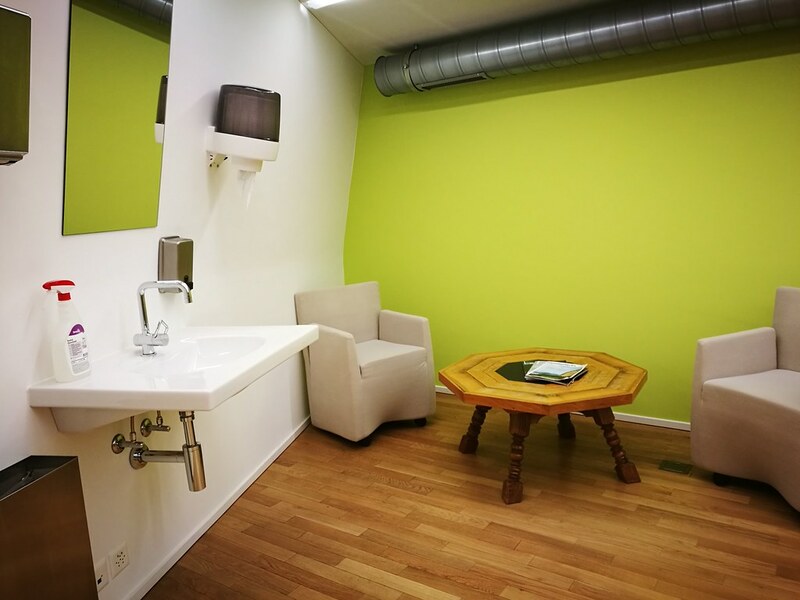 upgrades, or extent of facilities). The only trouble I had was getting my ski bag into the elevator which is minute. 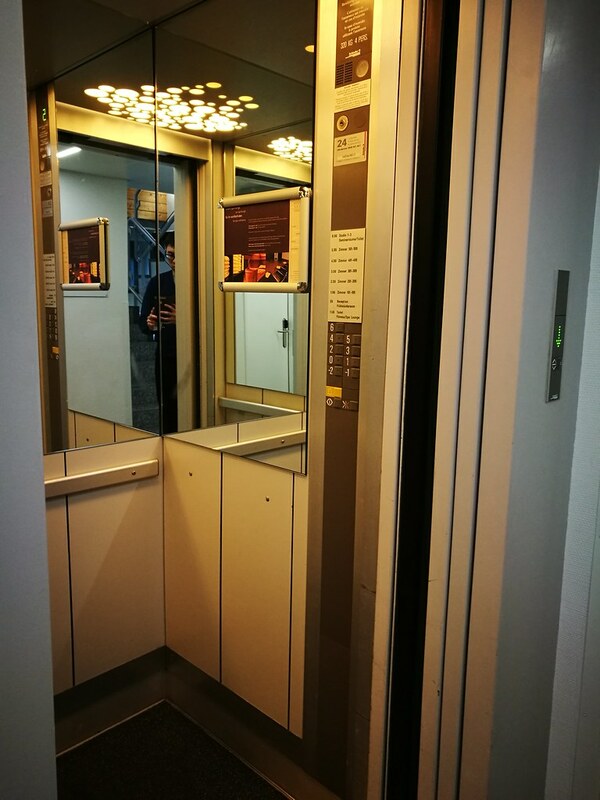 It was basically the smallest elevator I have been into, and guests who are claustrophobic should just take the stairs. For this overnight stay, I had booked a superior room which seems to be one of their higher categories of room. If I had booked earlier, I might have gotten the single rooms which might be cheaper since I was travelling solo for this trip. 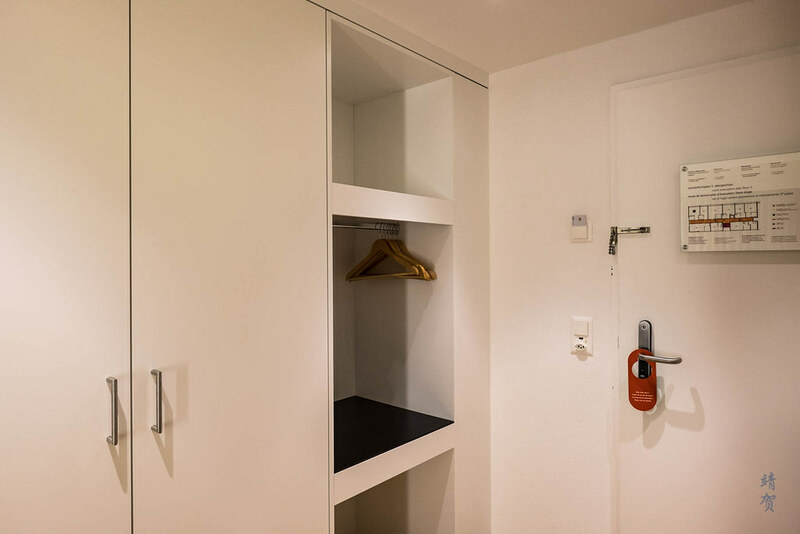 The room was spacious with a large closet and open shelving beside the door which is handy to hang your jackets and winter apparels or ski gear. 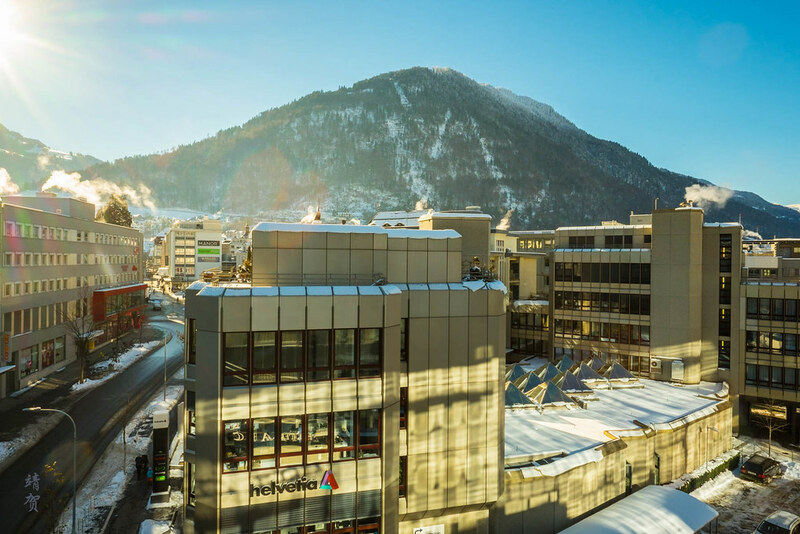 Do note that there are several ski areas around Chur and it can be set as a base for skiers wanting the convenience of a normal town. Next to the closet there was a very large work desk with a wall mounted flatscreen TV above it. Furnitures here are basic and seems to be similar in style and quality to what one can get in Ikea. Not bad but not memorable either. Being in Switzerland I did like the Nespresso machine located in a low side table beside the desk. After all, Nespresso is Swiss-based, being a subsidiary of Nestle. At the end of the room, there is a single armchair and sliding doors leading to a balcony. Lighting in the room is extra bright and there is even a standing column light beside the armchair to add to the brightness. It makes it conducive for working but not so much for relaxing, though it works in the winter when there is less daylight. The rest of the room is occupied by the double bed with side tables on both sides of the bed. Reading lights are mounted conveniently on both ends of the headboard as well. This is a must for a modern furnished hotel room. 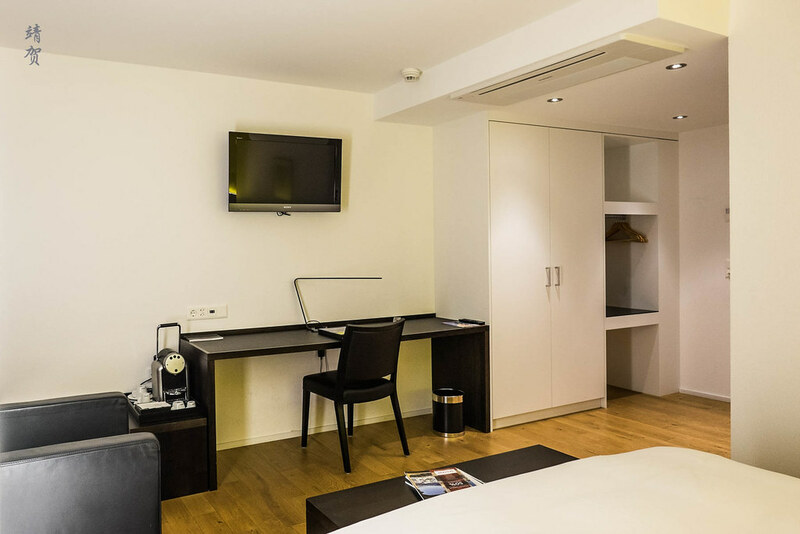 In front of the bed, there is a bench where guests can place their luggage and it also functions as a small coffee table when not in use as a luggage bench as magazines were placed there when I arrived. 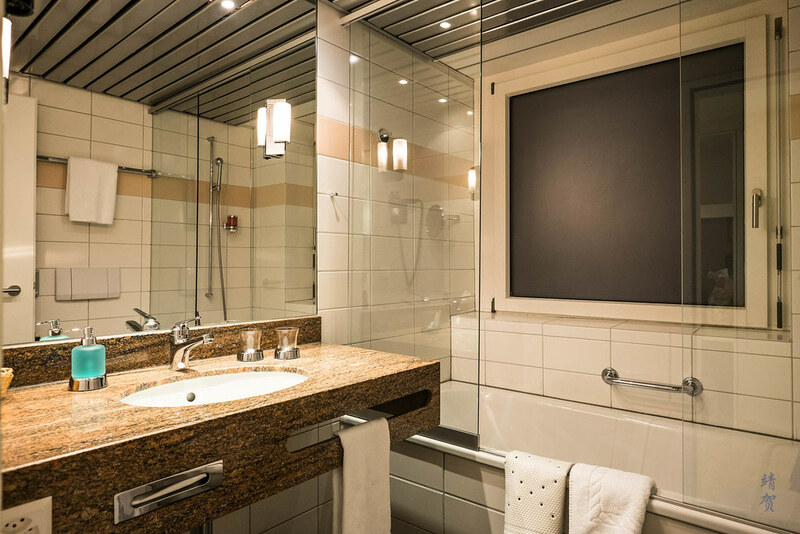 The bathroom setup here is a bathtub with glass partitions on both ends and while it is adequate for a shower, the tub is a bit small for a relaxing bath. I would rather there was a standing shower cubicle instead. 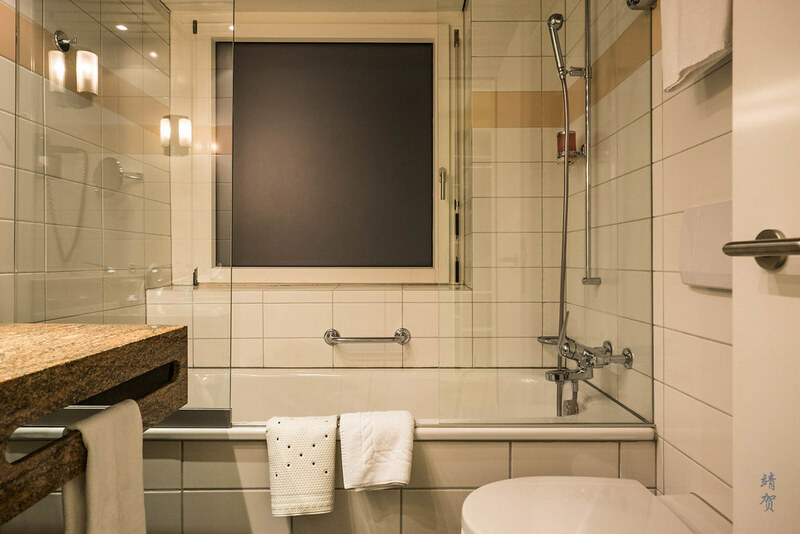 Fortunately the bathroom was a normal size and probably on par with the average Sheratons and Holiday Inns, with enough space on the countertop to place your toiletries. While the hotel did supply bath amenities, it was just individual packs of lotion and bath gel. The shampoo is wall mounted by the shower and the hand soap is in a container beside the sink. 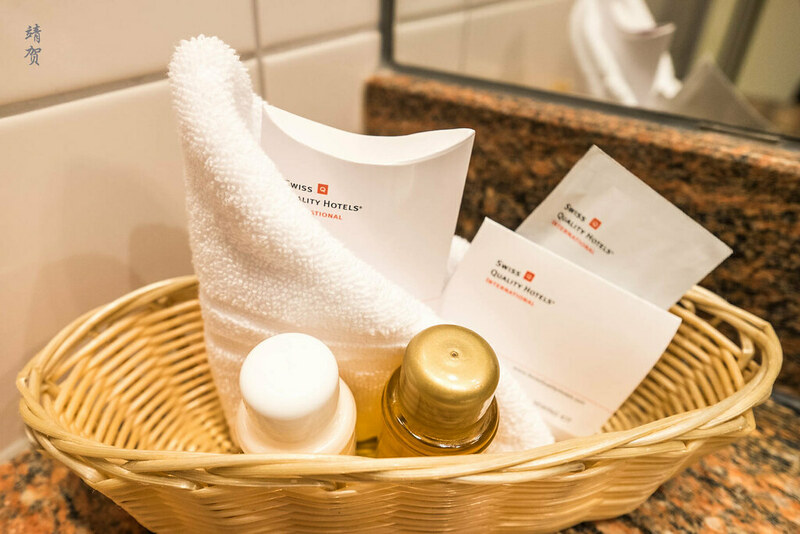 Other amenities supplied in the basket includes cotton buds, shower cap and razors though there was some other necessities that guests could ask for from housekeeping. 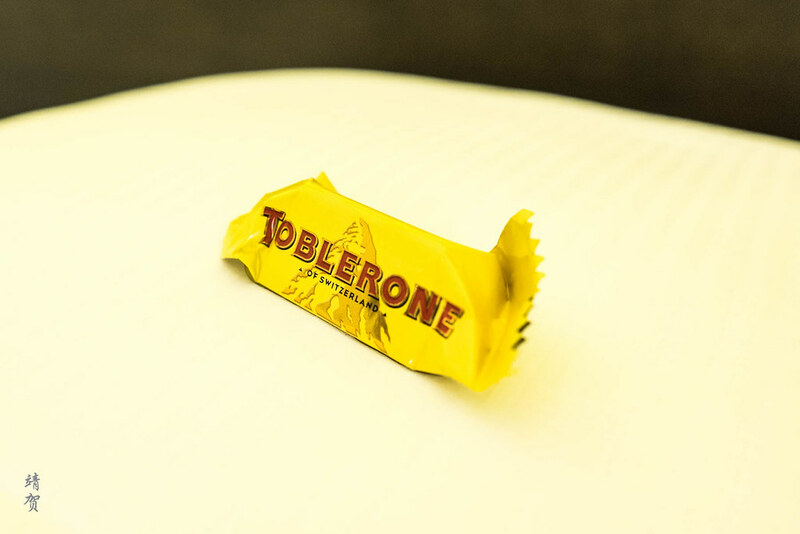 Arriving later after turndown service, there was already a mini Toblerone chocolate bar laid on the bed and this was a great part of staying in Swiss hotels as I find many of them have turndown service even for tourist class hotels in smaller towns. This beats the average hotel stay in North America where service is virtually non-existent after checking in, until the next morning. I should also mention how great the view from the balcony of my room was in the morning as it overlooks the parking lot and the mountains surrounding the city. Getting a higher floor room was definitely worth it for this view. 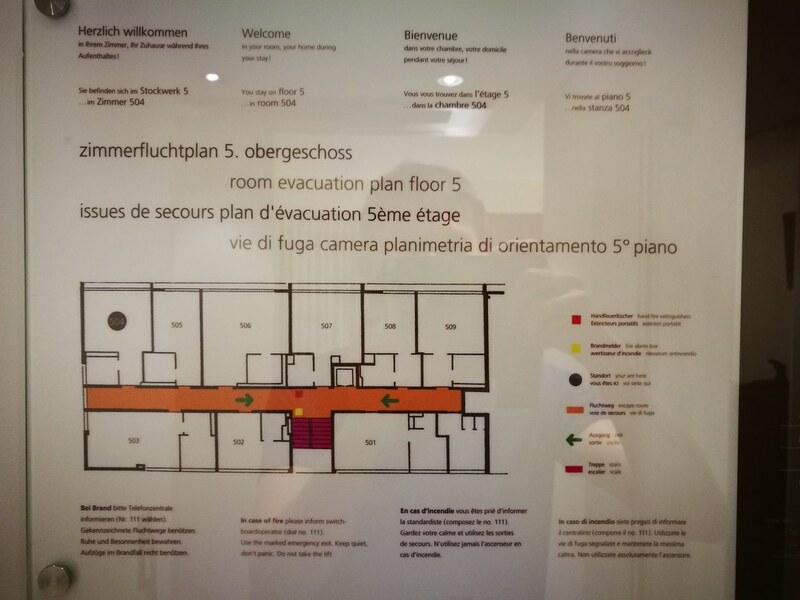 The only downside is the slow wait for the small elevator which I have to use quite a bit even for a one night stay. That is because the hotel has a small fitness centre with a spa located at the basement. This was a value added amenity since I was tired and wanted to unwind. 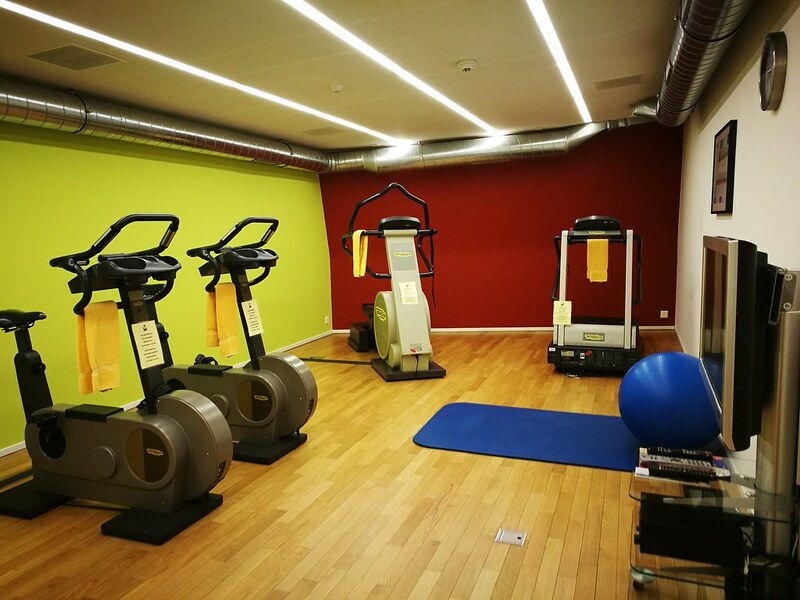 The fitness centre comprises of just a couple of cycling machines and treadmill with a yoga mat and a gym ball. There was some armchairs with a TV for lounging as well. 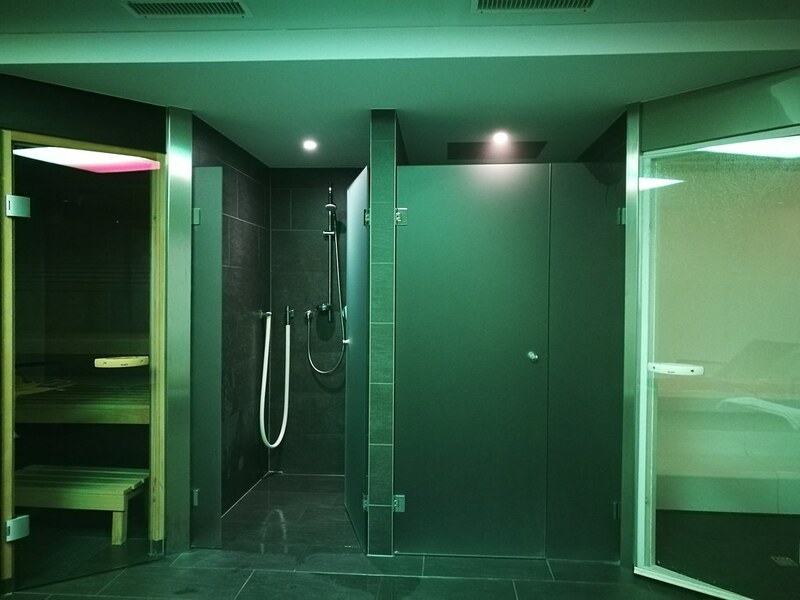 Another door separates the fitness centre and the spa and while they might call it a spa, the facility comprises of just 2 sauna rooms with a communal shower and several lounge chairs. All in all, do not have high expectations for it and you should be satisfied. 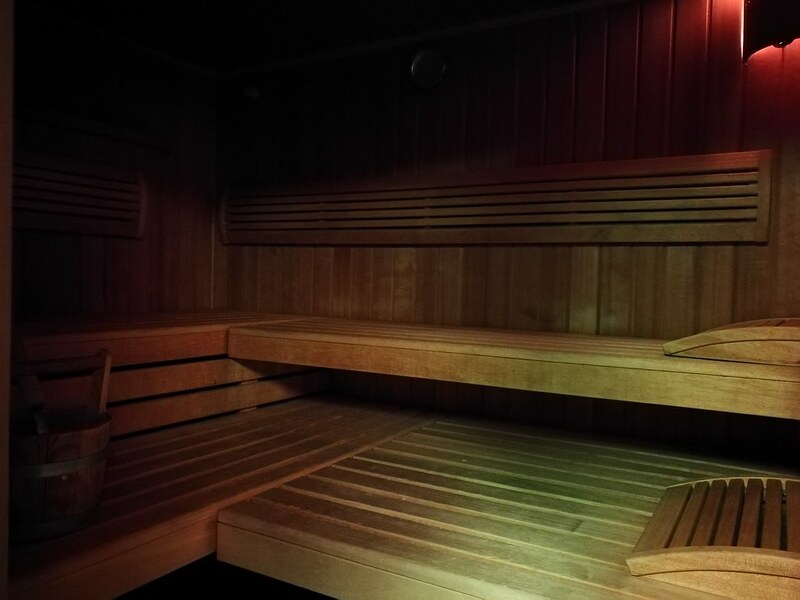 On a side note, it was empty when I used it so I did have it like a private spa room which is more than adequate to relax. 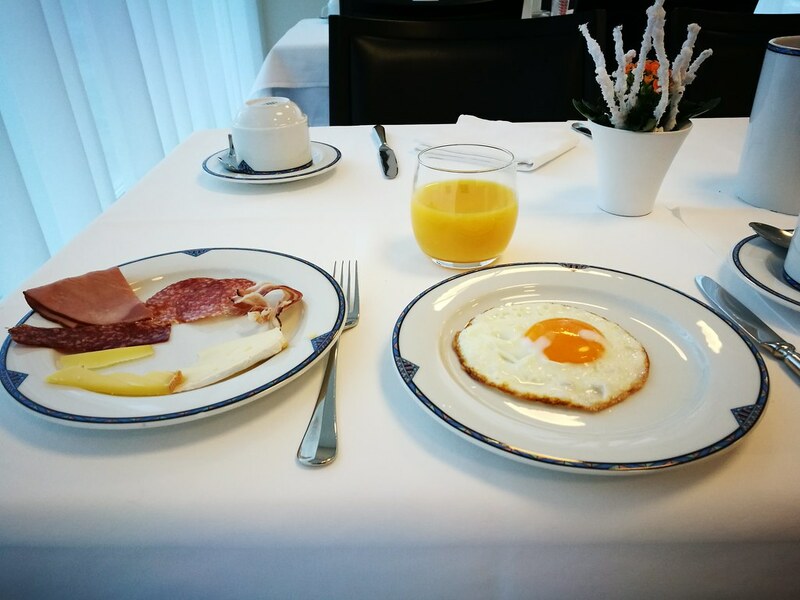 For all guests staying overnight, breakfast was included and this was similar to my experience staying at Visp on the way to Zermatt last year. Since I passed the restaurant yesterday when I checked in, I knew where to head to in the morning. The restaurant is pretty large and less than one third was occupied when I head for breakfast around 8am in the morning. 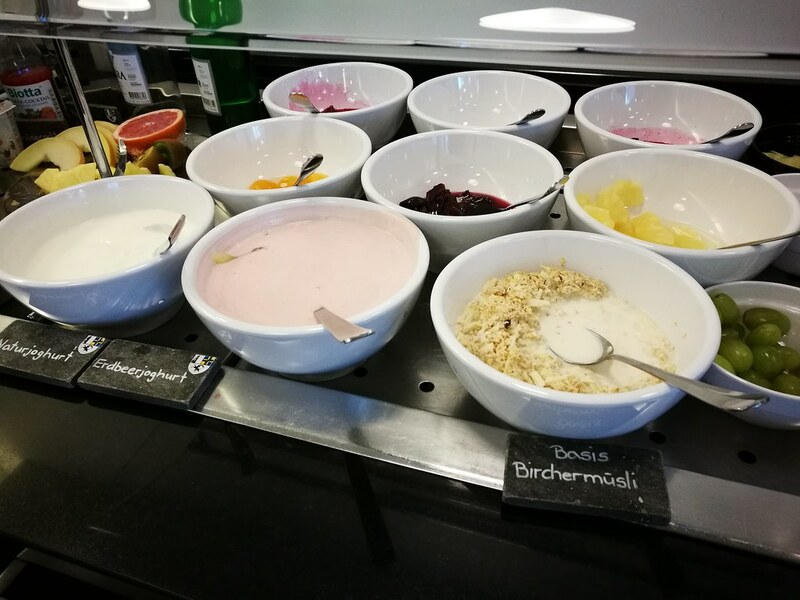 The buffet spread was pretty good too for a small town hotel with the muesli and yogurt section having a large selection as is the case in Switzerland, Austria and Germany. There was a good selection of cold cuts and cheese as well. 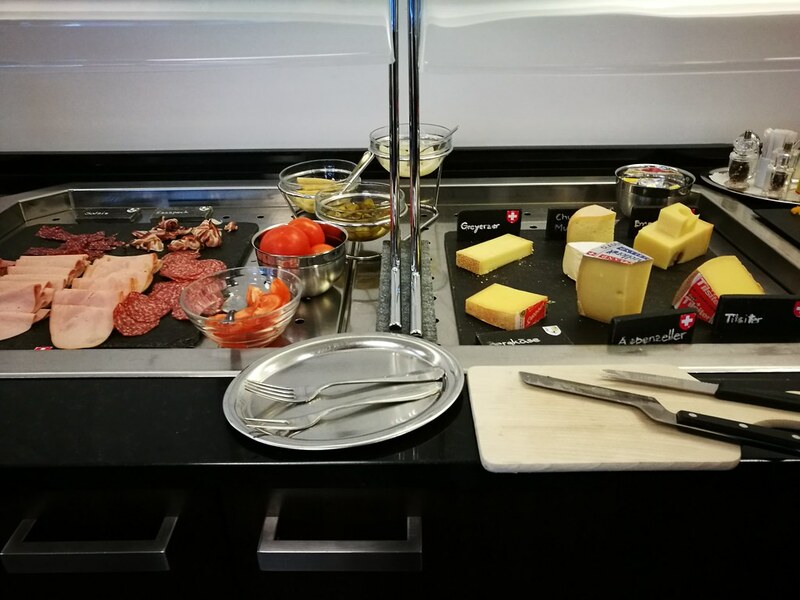 Quality was obviously better than what one gets in America, and I always enjoy the cheese in Swiss Hotels. 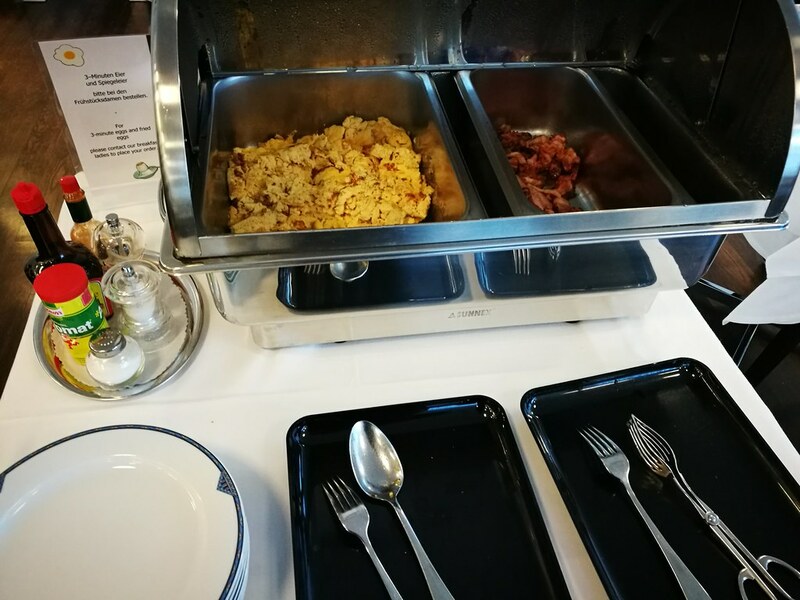 For hot food, there was scrambled eggs and bacon on the buffet though guests could also order eggs to their liking and I had the usual sunny side up. Aside from that, there was also some fruit tarts, muffins, and toast. A small fruit selection can also be found in the corner. Guests could also help themselves to coffee, tea and juices. 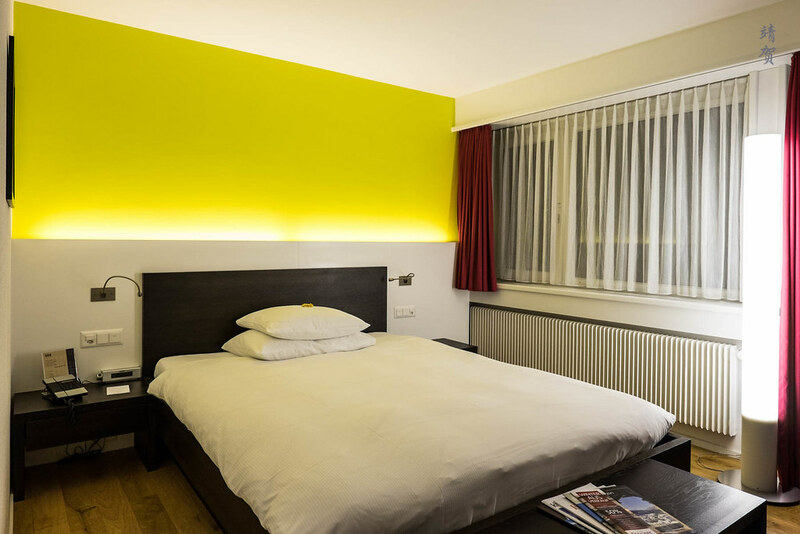 The cost for my one night stay was CHF176 (~$180) inclusive of taxes which is indeed expensive. However I found hotels in small European towns to be very clean and well maintained. 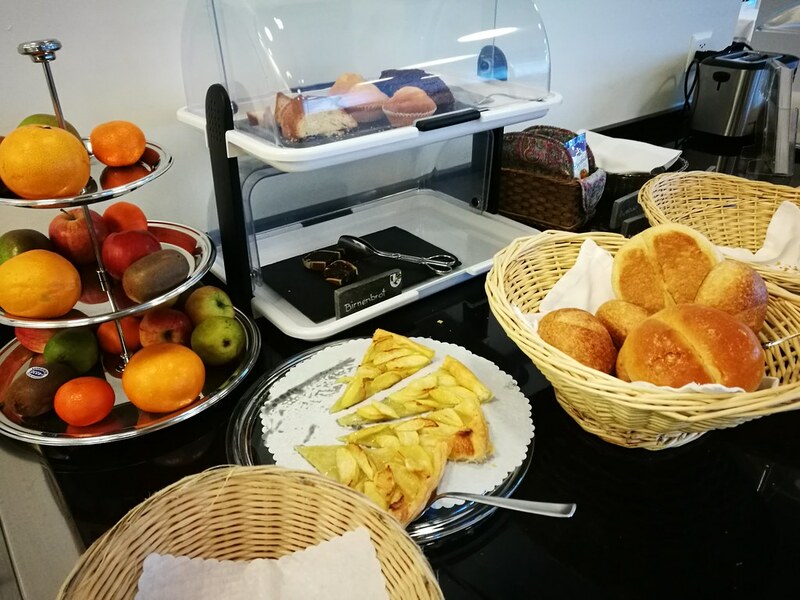 Furthermore considering that the hotel does have limited facilities and includes breakfast in its rate, I found it to be reasonable as it caters to the weary traveller and more. The availability of a parking space and some premium in-room amenities like a turndown service and the Nespresso did not make me regret my choice in staying here and I do recommend guests consider this hotel even if the name might be lacking in any thought to it.